The results build upon and complement an existing RSPB paper Wakefield et al. 2017 that developed sophisticated models to predict where these species forage during the breeding season. 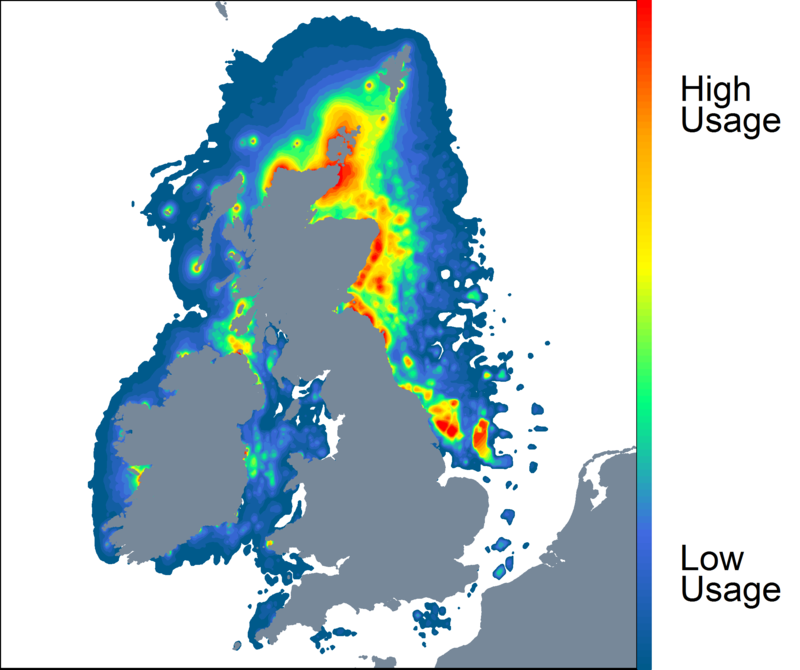 By clearly showing which areas of sea are important to breeding seabirds, we can work with developers and the planning authorities to protect them. Our seas are increasingly busy and under pressure, with humans using the marine environment in a variety of ways, including fishing, shipping, leisure, and development such as offshore wind turbines. Marine planning is an essential tool to help make sure that the collective pressure of all these human activities at sea does not negatively affect marine ecosystems. A good marine plan is one that recognises the importance of conserving the health of our marine environment by accommodating the needs of wildlife, including seabirds, waterbirds and other migratory species such as dolphins and seals. Marine planning allows decision-makers to determine the most appropriate and sustainable use of marine space by exploring how sensible design and location can avoid or minimise negative impacts. Either by avoiding sensitive areas, or by designing projects to have minimum impact helps sustain and restore our amazing marine environment. The UK’s waters are divided into marine planning regions, with 11 in England and one each for Scotland, Wales and Northern Ireland. Each plan area stretches up to 200 nautical miles from the coast. But the sea is interconnected and can’t always be viewed as separate defined areas. To be truly spatial, the marine plans need to encompass the marine environment as a whole, from above the surface to the seabed and fully consider impacts on highly mobile species such as seabirds. The tracking results have identified marine areas of high ecological value for seabirds, building a picture of how seabirds use the plan areas. The data are available for anyone working in the marine environment, from planners to developers, who should ensure development at sea works with nature, not against it. As well as being useful for marine planning, the tracking results can inform the process to support the management of Marine Protected Areas (MPAs) and help to identify new sites which are important for our seabirds. 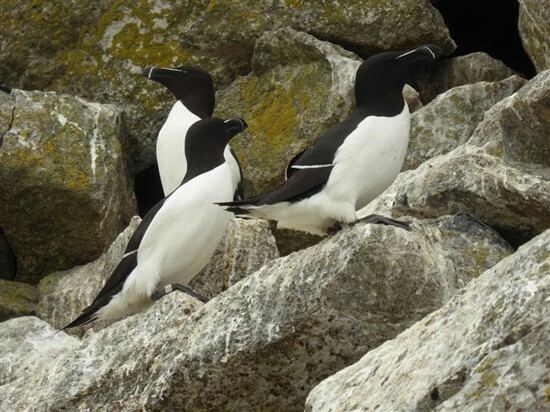 However, while MPAs certainly play an important role, a fluid, adaptive marine planning system is essential to support mobile species such as seabirds across the marine environment, outside designated protected areas. By better understanding where our seabirds go during the breeding season, we can improve the management of our seas, ensuring we have healthy and vibrant seabird populations for generations to come. For more information on this amazing work, view our Following the Seabirds’ Trail webpage, where you can also download the tracking data from the Open Data Portal.